Just read a short article stating that the overwintering Monarch butterflies in Central Mexico are starting their journey back up to U.S. and Canadian destinations east of the Rockies. Our western race west of the continental divide has been reported to be leaving their overwintering sites along the Pacific coast and heading to the Northwest. Several reports of Monarch eggs and caterpillars have been found on milkweeds planted in folk's gardens. 1-1gal. Cassia bicapsularis ‘Worley’s Buttercream’. Medium sized shrub with yellow/cream colored flowers. Can be trained into a small tree with proper pruning. Full sun, fairly drought tolerant once established. Host plant to the Cloudless Sulphur butterfly. 2-1gal. Cassia bicapsularis. Typical vivid yellow blooms of the species. Everything else same as above. 1-1gal. Tithonia rotundifolia ‘Torch’. Also known as Mexican Sunflower. ‘Torch’ is an almost neon orange/red annual variety that gets to about 3 -4 feet tall and as wide. Likes water; its flowers are a strong magnet to hummingbirds and butterflies, especially the various swallowtail butterfly species. Let some of the seed heads ripen to attract seed eating birds, and collect some for yourself to plant in the garden for the next year. Fast grower, easy to grow. Does very well in a large pot. 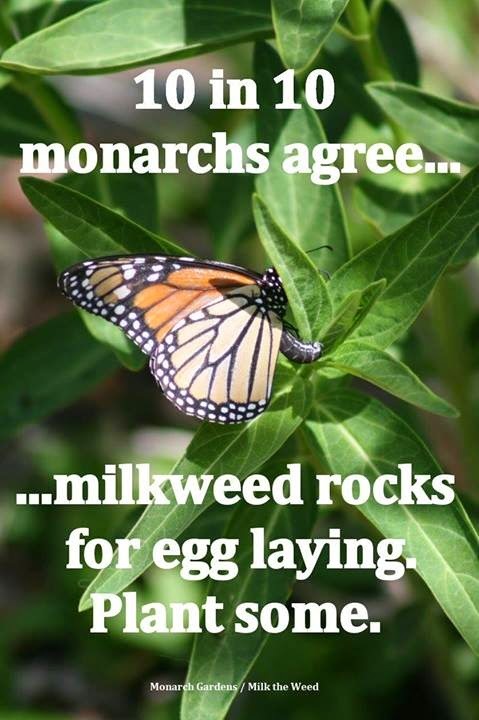 Next time I visit there should be several species of milkweed for Monarch butterflies to host on plus a few other plants I’m not sure of yet. The only universal requisite for these plants is that they need at least six hours of full sun per day; the more the merrier. The milkweeds need all day (~8 hrs.) to grow properly.